LONG BEACH — The Long Beach City Council approved additional funds to be awarded for Phase 2 of the in-progress Alamitos Bay Marina rebuild project at its Sept. 4 meeting — and, at the same time, it approved a 2 percent slip fee increase for Long Beach boaters. The slip fee increase came despite unanimous opposition from Long Beach’s Marine Advisory Commission, which recommended no increase for fiscal year 2013, following this year’s 4.4 percent boater fee increase. “We are expected to advise the council based on facts — and then, when we do that, we have it shoved down our throats one way or another,” said Commissioner Randy Crawford, who oversaw the subcommittee in charge of examining slip fee increases. The increase was recommended by Long Beach Department of Parks, Recreation and Marine Bureau manager Mark Sandoval. The 2 percent fee increase was included as part of the department’s 2013 proposed budget, which was approved at the same meeting. Sandoval said he was worried that if he pulled the recommendation for a 2 percent slip fee increase, the awarding of additional funds for the next construction phase at Alamitos Bay’s Basin 1 docks could have been pulled, as well. Instead, both items went through, meaning boaters will be seeing a 6.4 percent slip fee increase over the next two years, and construction will continue at Alamitos Bay’s Basin 1 docks. Estimated to cost $98 million, the Alamitos Bay rebuild project is well under way, with the $18.2 million Basin 4 — home to Long Beach Yacht Club slips — completed earlier this year, marking the conclusion of Phase 1 of the project. Phase 2 marks the rebuild for Basin 1 — located along North Marina Drive near the Crab Pot Seafood Restaurant and the city’s marina center offices. Unlike Phase 1, Phase 2 has been broken into sub-phases, in an effort to ease the city’s concerns regarding the harbor’s financial plan. With the sub-phases needing council approval, funding for each portion of the marina will be checked prior to construction. So far, demolition of the old docks and dredging has been completed as part of Phase 2a in Basin 1, and the council’s approval of an additional $8 million to marina construction company Bellingham Marine Industries means work can begin on Docks 1 and 2 — with funding for construction of Docks 3, 4 and 5 to be considered by the city council at the beginning of the fiscal year Oct. 1. The additional funds are a combination of loans issued from the Department of Boating and Waterways (Cal Boating) and the city’s Marina Fund. Since the beginning of the project, Sandoval said he knew funding would be an issue, and has been working with Cal Boating for additional loans for future phases — but uncertainty within the department, which will next year report to the California State Parks, has left the project with an uncertain future. So far, loans have been issued by Cal Boating for Basin 4 totaling $18.2 million, and $12.2 million has been loaned for Basin 1. Basin 1 has a total cost estimated at $19.2 million, meaning an extra $7 million has to be taken from Alamitos Bay’s Marina Fund — supported by boater slip fees and marina revenues. Harbor Advisory Commissioners against the fee increase argued that the Marina Fund was already at a $1 million surplus for the year without the slip fee increase, and would be at $2.5 million with it — money boaters could use during the current rough economic climate. But Sandoval and Long Beach finance director John Gross are looking beyond the fiscal year and are hoping to build up reserves that can be used for future phases of the rebuild. With funding for Basin 1’s sub-phases expected to be completely approved in October, funding for the remainder of Alamitos Bay is up in the air. The 2 percent increase will bring in about $400,000 a year to the Marina Fund — money Sandoval said will be needed to get the next phase of the rebuild off and running. Sandoval hopes to rebuild the smaller and cheaper Basins 5 (Alamitos Bay Yacht Club docks) and 7 (US Sailing Center Long Beach docks) in the next phase of the rebuild, which he estimates will cost between $3.5 million and $5 million to complete the roughly 80 slips between the two locations. With the slip fee increases, it is expected the surplus in the Marina Fund should cover the cost of Basins 5 and 7, and a loan will not be needed. “But the 800-pound gorilla on our backs is Basins 2 and 3,” Sandoval said. 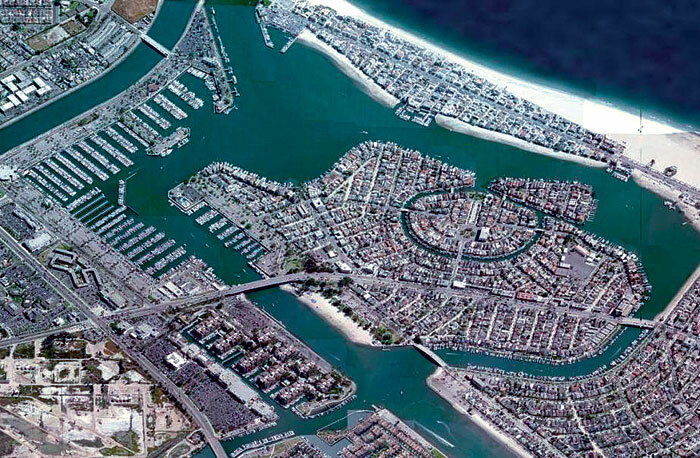 Estimated at $20 million each, the two basins make up a large portion of the slips in Alamitos Bay, and were originally scheduled to begin construction following the completion of Basin 1. Currently, funding for Basin 2 (between the Alamitos Bay marine fuel dock and Seal Beach Yacht Club) and Basin 3 (Between Joe’s Crab Shack and East Second Street), is only 50 percent funded. Original plans had Basin 2 completed in June 2014 and Basin 3 completed in February 2015, but funding issues have pushed those dates back to a “to be determined” status. Upon completion of the marina project, Alamitos Bay will contain 308 fewer slips, losing many in the 20- to 30-foot range, while gaining slips in the 35- to 50-foot range. Alamitos Bay’s current 1,967-slip total will be reduced to 1,646. The 2 percent slip fee increase for 2013 ups the cost of slips by $.97 per square foot. That means a boat owner with a 20-foot slip would pay $175.10 per month ($3.45 more per month than last year), and a boat owner with an 80-foot slip would pay $1,790.60 per month ($32.05 more per month than last year).